I have a new Problem with the MarXet Mod. The NPC for the market has no option/interaction to open the market? How do I get it there or did I anythng wrong? Installation is simple and easy with only one Exile overwrite. 1. Copy `MarXet-SQL.sql` into your favorite mySQL viewer's query window and run it. 2. Confirm you have a `marxet` table. 3. Copy the contents of `MarXet-extDB.ini` into your `@ExileServer\extDB\sql_custom_v2\exile.ini` file at the bottom. 1. Copy `ExileServer_system_network_dispatchIncomingMessage.sqf` from `MarXet\SERVER_FILES\exile_server\code` into your `@ExileServer\addons\exile_server\code` folder and replace the existing one. 1. This allows MarXet to send network messages to the server. If you run Advanced Banking, Virtual Garage or Most Wanted, you won't need to copy this file over as you already have it. 2. 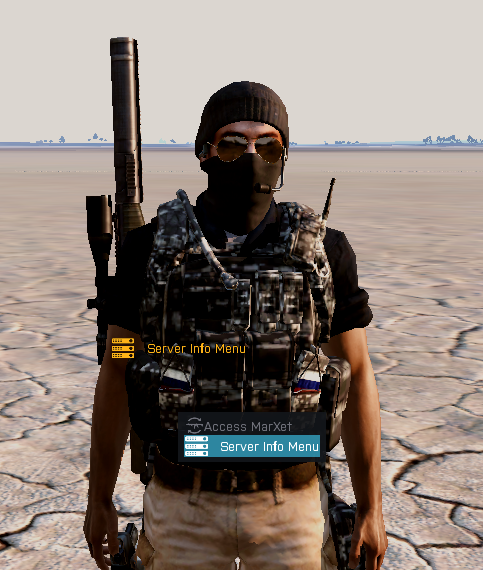 PBO `MarXet_Server` in `SERVER_FILES` and copy that to your `@ExileServer\addons` folder. 1. Copy `MarXet` from `CLIENT_FILES` into the root of your exile.MAPNAME folder. 3. `CfgHints.hpp` and `CfgNetworkMessages.hpp` both will depend on your set up. 3. It should look something like what is below. 2. If you don't have `class CfgHints` or `class CfgNetworkMessages`, in your `config.cpp`, add this anywhere. 5. You are done! Head on down to configuration. I´ve edited it to this, at the first only 1 npc and 1 sign for testing. Well, you only looked at traders at the carrier or is this your only traderzone? 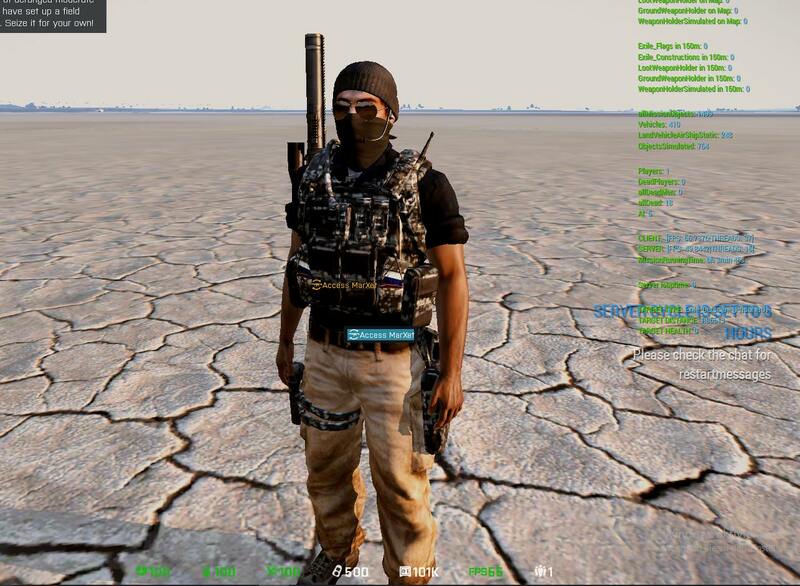 What ever, the problem is related to the carrier and arma detecting the ground/position of the player/trader. "((position player) distance _target) <= 4"
Seems like something is blocking the addaction function? Infistar running? The allowed lists below need the "title" of the action! Only logs BadActions (and removes them) but does not kick or ban. What you could try, just for method of elimination - disable infistar and check if the action is added. If so, you know at least where to look at. No nothing in config.cpp, what should I need to add there? I only edit/changed the files I need for Installing this and not more.. So, basically you did everything right, cuz as you see on your server, the trader is spawned at the location with the right gear - for some reason the addaction either is removed or blocked. I still would say it's infistar but as you said, even when infistar is not launched with the server the action isn't available - pretty strange. Method of elimination, remove/comment out  ExecVM "scarCODE\ServerInfoMenu\sqf\initLocal.sqf"; in your init.sqf - maybe this is blocking it? Doesn't make any sense to me but, just give it a go.